New medium growth period Cape cultivar with excellent yield potential. • A medium growth period cultivar with excellent yield potential. • A widely adapted cultivar that performs well at a range of yield potentials where newest planter technology is used in conservation tillage systems. 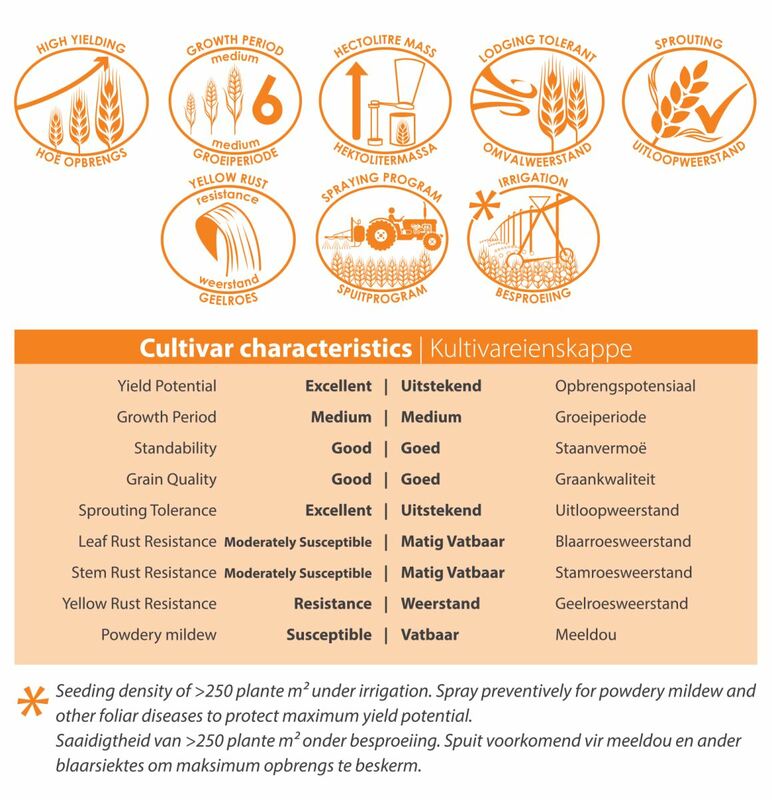 • Cultivar is resistant to stripe rust and moderately susceptible to stem and leaf rust.